The late Nobel Laureate Elie Wiesel observed: “Without memory, there is no culture. Without memory, there would be no civilization, no society, no future.” December, as the last month of the year, always brings a mixture of holiday, cultural and festive celebrations interspaced with solemn commemorations. On the first weekend, I helped crown the 64th Chrysanthemum Festival Queen. The long-running cultural event annually raises funds for scholarships awarded by Maui’s Sons and Daughters of the Nisei Veterans. The festival also celebrates the Valley Islanders who served in the famed 100th Battalion and 442nd Regimental Combat Team. The following week, I had the honor to attend Pearl Harbor Remembrance Day 75th Anniversary ceremonies. Seated at a pier across from the Arizona Memorial, we remembered the sacrifices and loss of life that day which ushered in the United States entry into World War II, and which would move Hawai‘i towards Statehood two decades later. Sitting near the front row of Pearl Harbor survivors, I couldn’t help but also acknowledge the eventual passing of what people call America’s Greatest Generation. Locally, Maui is also in transition. 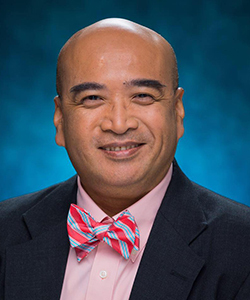 With the looming July 1, 2017 switch to management by Kaiser Permanente’s Maui Health Systems, our local public hospital facilities continue to provide important health care services locally while implementing the existing master plan of physical improvements—replacing the old elevators and renovating rooms. December saw the long-awaited blessing and re-opening of the renovated and expanded Oncology Department of Maui Memorial Medical Center. The improvements were funded by the proceeds of the annual Willie K Foundation Golf Tournament and State capital improvement project appropriations. 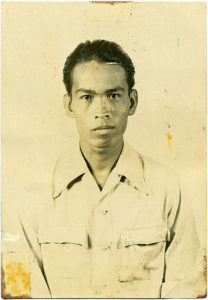 … my dad Manuel Coloma arrived in 1946, recruited as an Ilocano strikebreaker. As remembered, he signed an ILWU card on the boat, joining strikers upon disembarking at the port. I also swore in the new officers of several local organizations at their annual luncheons and attended the opening of the youth flag football league using the new Central Maui Regional Park fields. At the annual end-of-year Rizal Day celebration, I judged a Filipino attire contest while wearing my new Mele Kalikimaka Aloha Shirt. Winter events that recall common histories or mark new beginnings. But the rather quiet closure of HC&S operations overshadowed most of the events in the month leading up to the start of the 2017 Legislative Session. Like many in my community, plantation work brought my family to the islands. Sugar formed the common cultural DNA shared by my Filipino, Portuguese, Japanese, Chinese, Hawaiian and Hapa classmates at Doris Todd and Maui High. In truth, we lived through other sugar and pineapple closings but sugar marking a final end in our own community seemed different. It did mean no more black snow of small kid times and no more familiar pungent smells drifting to town on the winds. And just looking out the window of your flights home to Maui at the largely ratoon and harvested landscape starkly made the end of large-scale farming apparent. Of course, I have few illusions. Plantation days weren’t all reservoir swimming and tilapia fishing or tournahauler inner tubes as local kid trampolines. My parents went to bed early and awoke before dawn—my mom still does. Red HC&S pick ups would pick up the hanawai gang from our Kahului neighborhoods for the drive to the assigned fields. Just looking at my dad when he came home, I had no doubt he led a hard, dusty life—but there was also dignity in his face and the face of his co-workers. It was also a life that some in my generation chose for themselves, following in their parents’ and grandparents’ footsteps. But I understand why my dad and other sugar workers wanted their children to have other choices about our futures. The Agaran Sakadas came to Hawai‘i when sugar still ruled. My grandfather Lino and his cousin Teodoro, “Doro,” arrived on Maui on April 5, 1928 while brother Juan, “Uncle Johnny,” landed on the Big Island in November 1929. Uncle Toribio came earlier to either Kaua‘i or Läna‘i. The dates and places differ depending on which of the cousins tell the story. All four are gone now. In our family folklore, my dad Manuel Coloma arrived in 1946, recruited as an Ilocano strikebreaker. As remembered, he signed an ILWU card on the boat, joining strikers upon disembarking at the port. That strike won, dad worked the Maui sugar fields spreading out from Pä‘ia town’s edge as an irrigator for nearly forty years. A proverbial Ilocano—a stoic, frugal, careful man—he married Lydia Agaran, a woman from his old ili. A softspoken father, he stepped in only when my exasperated mother was pau with my sister Velma or me. We lived at various camps but the clean, plain cabin in Orpheum Camp near Pä‘ia Mill stands out most in my memory, even more than the little tract house they purchased in the 12th Increment in the early ’70s. After the war, my Papa Lino moved to O‘ahu. He adopted and raised me. When he retired in 1967, my grandmother, Papa and I moved back to Pä‘ia. In those days, there were no Filipino caterers, so Papa got invited to parties because he could cook for large groups. He fried pork chunks dipped in flour and scrambled eggs with a sweet sour sauce for dipping, pancit the Ilocano way, a dry but tasty dinardaraan, pork and peas or pimentos, pork adobo, lightly fried chicken and chicken long rice. At gatherings at the Pä‘ia Club or Pu‘unënë Filipino Club House or the Baldwin Park pavilions, he would launch into those formal Filipino tarantellas inspired by some kind of Spanish flamenco. In my child’s eye, I still picture the steps and the arm movements as he swirled across the floor with various partners. These memories are also part of the legacy of my family. Throughout my life, Maui’s countryside has been shifting away from sugar (and pineapple). Family-owned independent pineapple fields and pastures in Ha‘ik&#363; subdivided into two-acre Gentlemen farms. That familiar experience where you and your high school pals would spend summer months making some real money at the Cannery or in the fields no longer common. At one time, Pä‘ia and Pu‘unënë—with their smoking sugar factories—were among Maui’s largest company towns. But while I was away at college, Pu‘unënë town disappeared into Central Maui sugar fields and big box parking lots. Pä‘ia converted to windsurfing hostels and vacation rentals, fashion shops, Mana Foods and quaint eateries. Pä‘ia Mill stands dead on Baldwin Avenue. The camps are largely gone or redeveloped. The end of sugar marks the end of a local touchpoint of common understanding. But rather than cavalierly focusing abruptly and insensitively on what’s next, I can’t help but appreciate the flesh and blood folk who lived through plantation days. So it feels strange how quiet it’s been after the initial stories about the closure. I purchased a t-shirt marking the last harvest. Others bought a Hana Hou hat. Some cane fields have simply been abandoned rather than harvested. 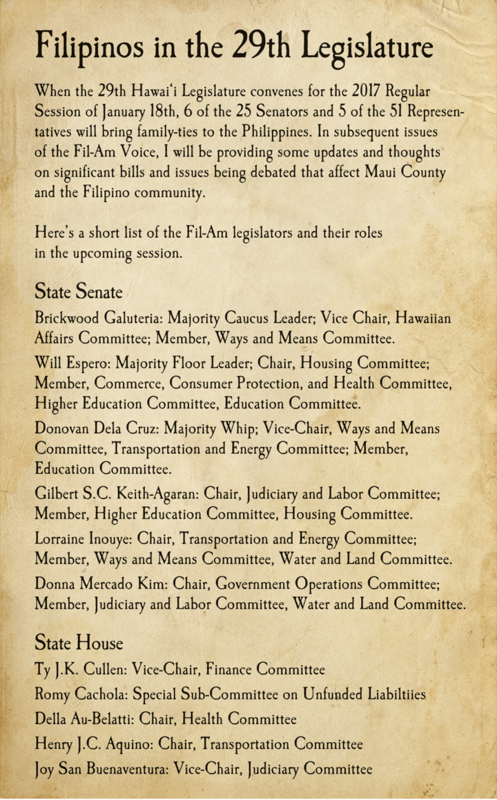 But our community needs to remember and stand with the people in those memories: the ILWU irrigators and planters and harvesters and the factory workers and mechanics and machinists and their families, and the businesses who relied on plantation business as suppliers and vendors. The uncertainty of this last closure hits them directly. I find this loss personal. And only time will tell what Central Maui’s landscape will look like in the future.